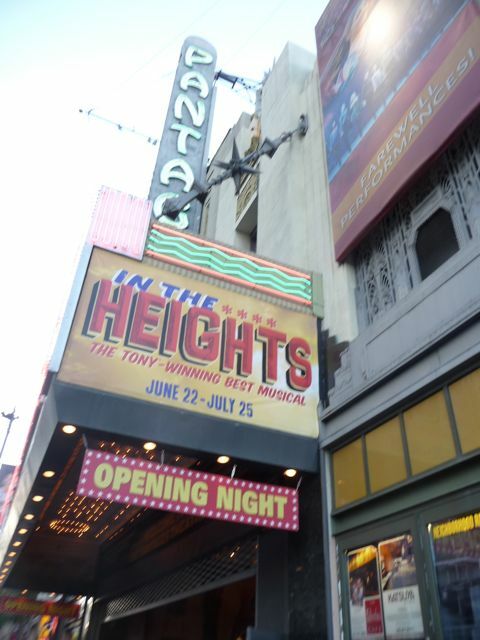 In June of 2010 some friends treated my wife and I to join them in seeing the Broadway Musical "In the Heights" at the Pantages Theater in Hollywood. Sure, OK! This being Los Angeles, the drive over was almost as interesting as the show itself. 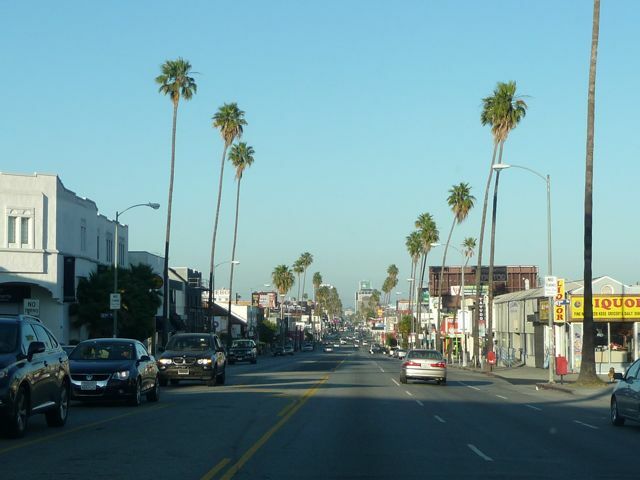 Above: traveling up La Cienega Blvd just north of San Vincente Blvd. Another view. 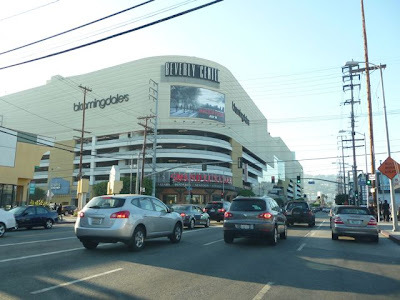 To the left is the massive Beverly Center shopping center (which, of course, is not located in Beverly Hills). 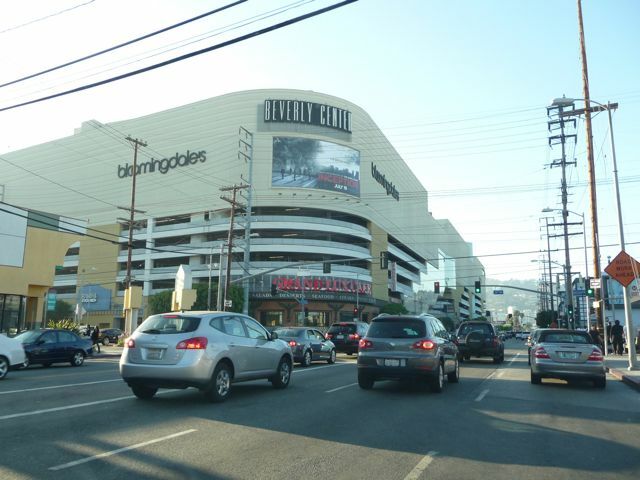 More on the Beverly Center in a future post. 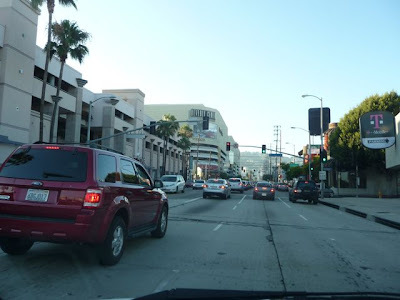 We turned right on Sunset Blvd and headed east into Hollywood. People from out of the area are surprised by how "un-glamorous" sections of Hollywood really are. 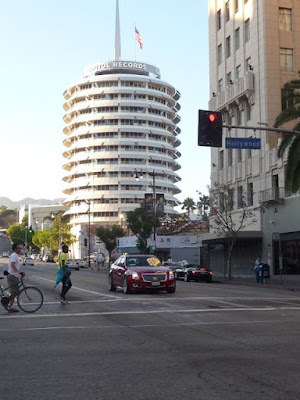 You probably won't see any celebrities walking around this part of town. "Cross Roads of the World" at Sunset and Las Palmas in Hollywood, considered to be America's first outdoor shopping center, and personally, one of my favorite spots in all of Los Angeles (which is saying a lot!). Here's a link to a previous blog post. 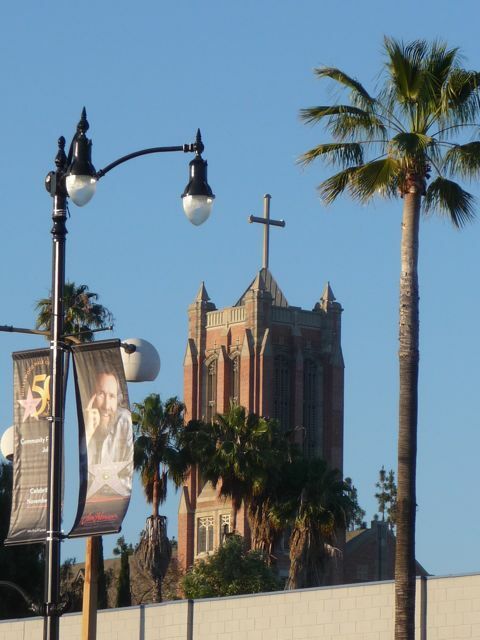 First Presbyterian Church of Hollywood, located on Gower Street, just one block north of Hollywood Blvd. Of note, two of the church's senior pastors have gone on to serve as the chaplain of the U.S. Senate. 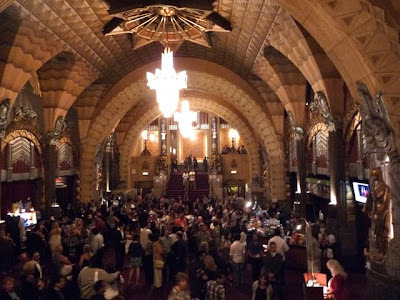 My family and I have attended a couple of times with friends who are members. It's an excellent church, although if you're looking for a more contemporary style in the area, I'd recommend the non-denominational "Reality Church" meeting a few blocks away at Hellen Bernstein High School. 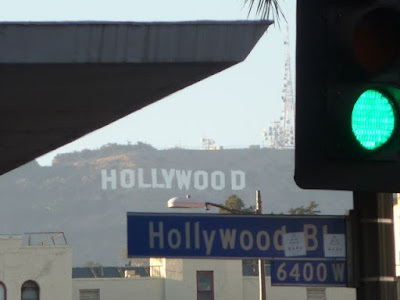 Hollywood and Hollywood (Hollywood Sign and Hollywood Blvd). 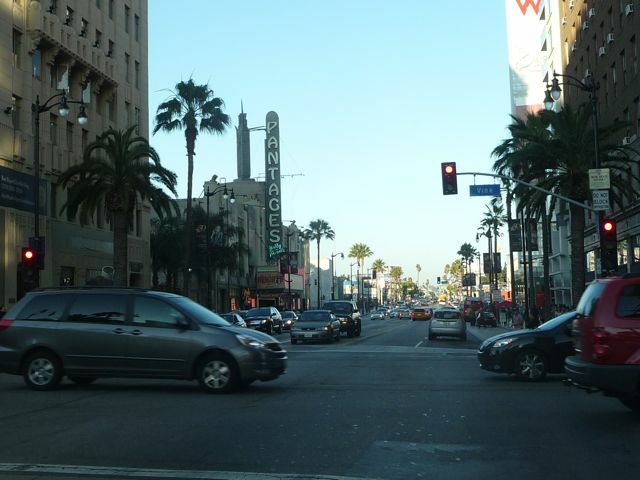 This is out of the window of my car waiting for the light at Hollywood and Vine. Here's a link to a previous post if you're trying to get up close to the sign. The Pantages Theater is located just a few feet away from the corner of Hollywood and Vine. We parked the car across the street in the lot and headed over. 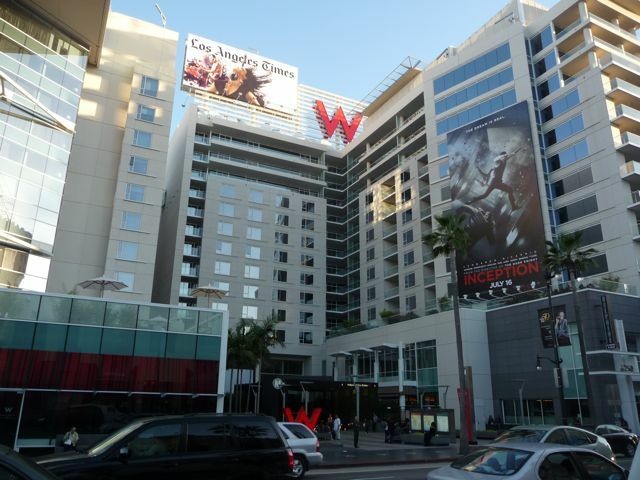 The newly opened "W" Hotel across the street. Turns out we were going opening night, which I didn't know until we showed up. 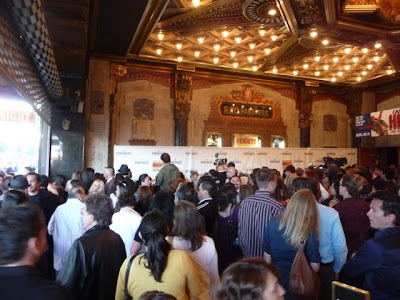 Huge crowd, with photographers and cameras: something going on . 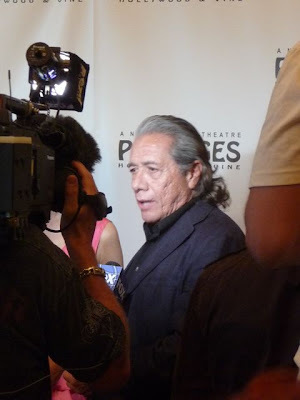 . .
Hey, looks like actor Edward James Olmos. Hey, it is! Turns out he showed up, along with a few of his Hollywood buddies, opening night. Definitely an "experiencing L.A." moment . . . The inside lobby. I had been to the Pantages once before, when my son and I went and saw the "Wizard of Oz" themed musical Wicked back in October 2008 (here's a link to what that was like). Inside, waiting for the show to start. 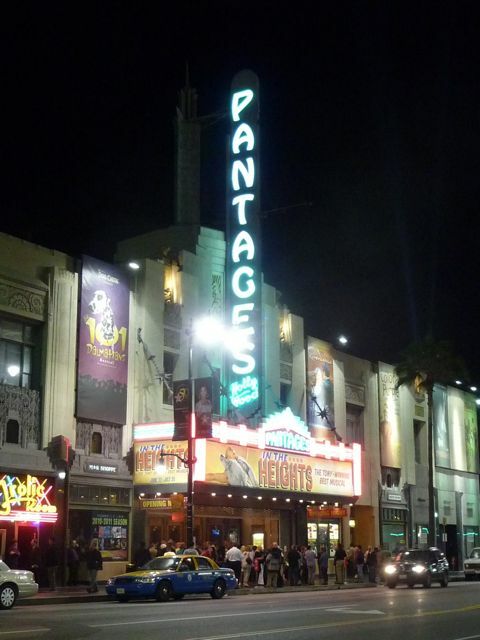 The Pantages was built in 1930 and is an amazing theater. 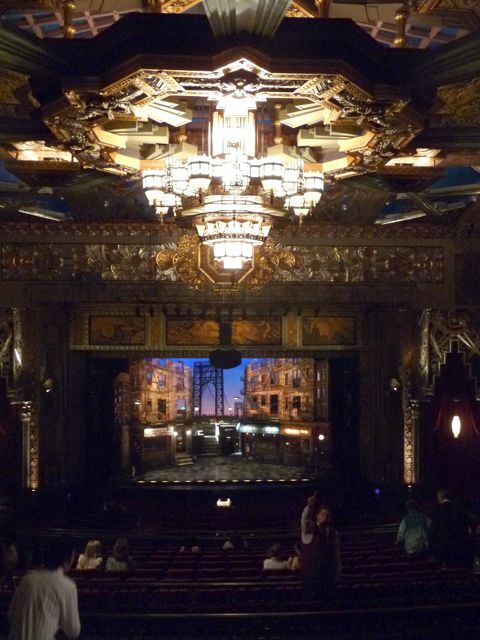 They have a very strict "no photography" policy during their shows, so this is the only photo inside the theater I got. 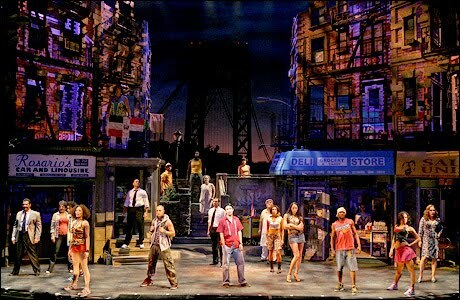 In the Heights reminded me a lot of West Side Story - focusing on the lives of New York City immigrants in the Washington Heights neighborhood. 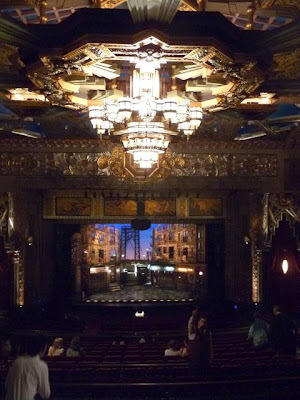 It was enjoyable, although - unlike when we saw Wicked - I didn't walk out thinking "I gotta buy the soundtrack." 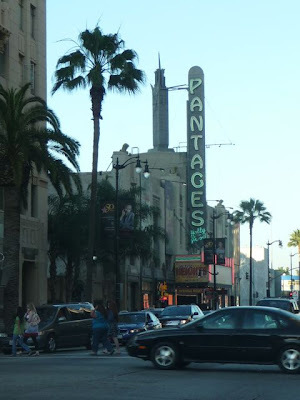 "The original plans for the Pantages were for a 12-story building: 2 floors dedicated to theater and 10 floors of office space. Completion of the 10 upper floors was halted due to the 1929 stock market crash which occurred during construction. 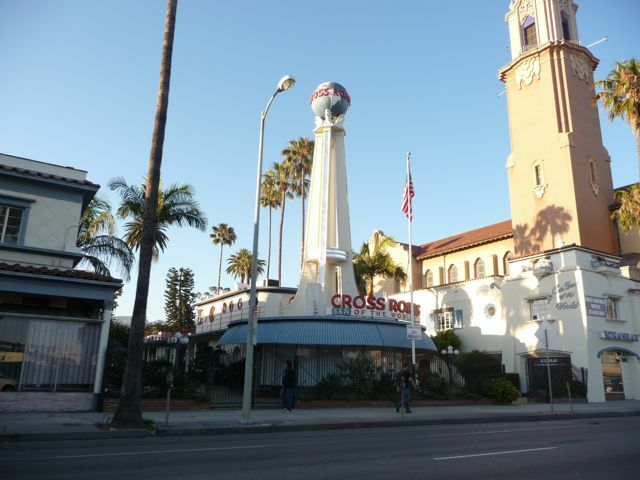 In December 2007, plans were revealed to complete the original design and floors, much due to the rejuvenation of the Hollywood area and the demand for office space." Looks like the "Great Recession" are putting those plans on hold once again. Someday, maybe. 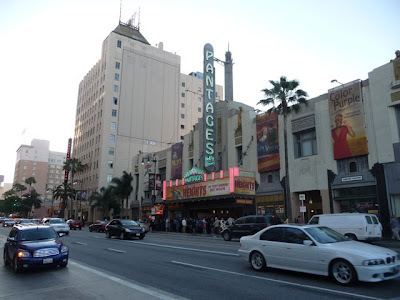 The Pantages is located half a block east of the corner of Hollywood and Vine. Here's a link to their website.